Man Utd are in impressive form currently, and an important factor in their winning run has been the impact of Marcus Rashford. Ole Gunnar Solskjaer was appointed as interim boss last month as he replaced Jose Mourinho following a disappointing first half of the campaign. Since his arrival, the Red Devils have rattled off five consecutive wins in all competitions, with four of those coming in the Premier League as they continue to hunt down a top-four finish. 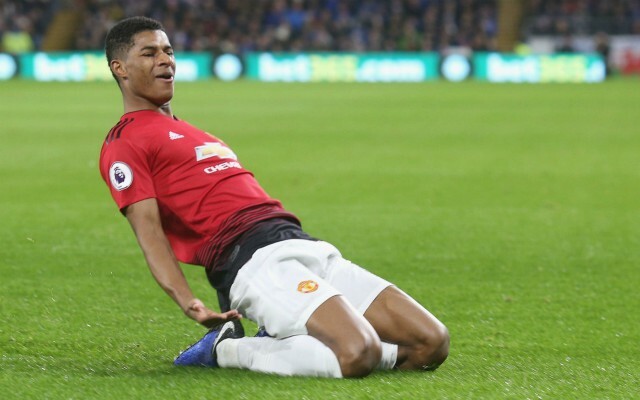 Rashford appears to be flourishing under his management in particular as he made it three consecutive league games in which he has scored as he gave his side the lead against Tottenham at Wembley on Sunday. As seen in the tweet below, that’s the first time he’s achieved such a feat in his career, and so clearly whatever Solskjaer is doing with him in training is working. The Norwegian tactician seemingly got his tactics spot on at Spurs, as United looked a real threat on the counter attack with Rashford, Anthony Martial and Jesse Lingard working well together with their pace and movement. Coupled with Solskjaer perhaps giving the 21-year-old some crucial advice on the training pitch following his own glittering career in front of goal, it’s certainly paying dividends as he’s getting the influence he wants from the youngster.